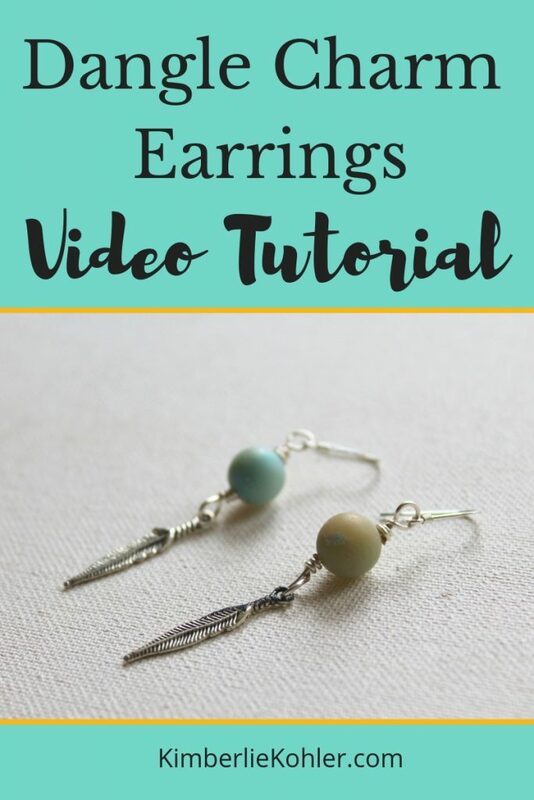 Learn how to make this simple, but cute Dangle Charm Earrings with this video tutorial. 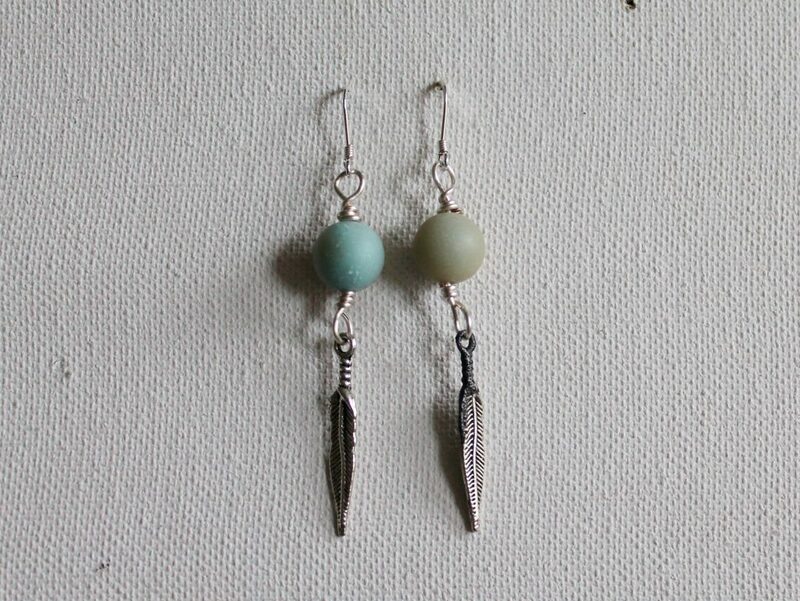 You can use any beads you like and any charm you like. 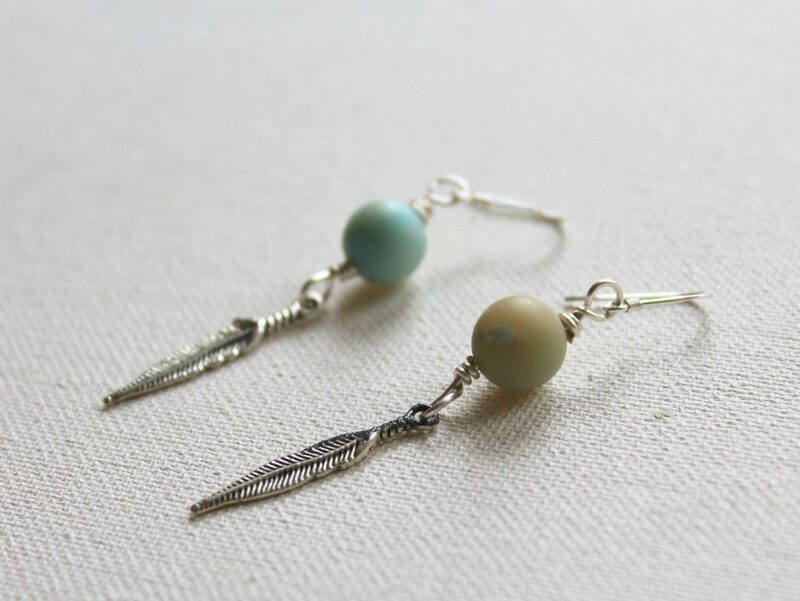 Just be sure to take the weight of the bead and charm into consideration when making your earrings. You don’t want them to pull on your ears. 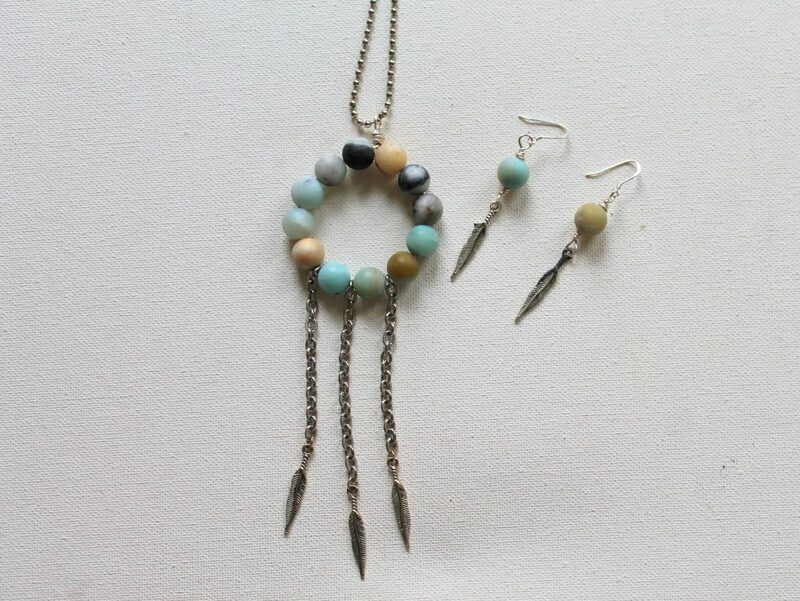 I made these earrings to go with the necklace I made in the free Inspired Mini Course. Learn more and sign up for free here: Inspired Mini Course. 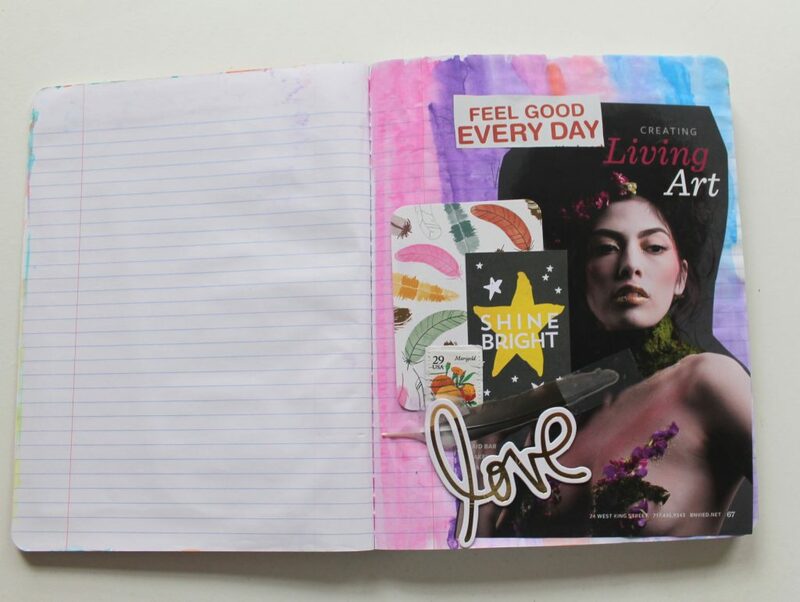 In my free Inspired Mini Course I share an art journal prompt (among other things! Learn more here: Inspired Mini Course.) In it, I hide my journaling with a collage. I wanted to share a few more options for hiding your writing in your art journal. 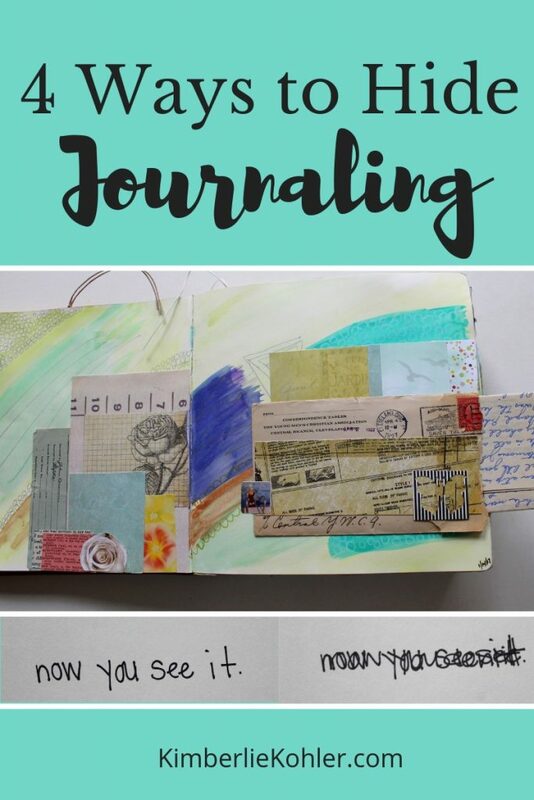 Why would you want to hide your journaling? Most of the time you probably don’t need to or want to, but sometimes you may. 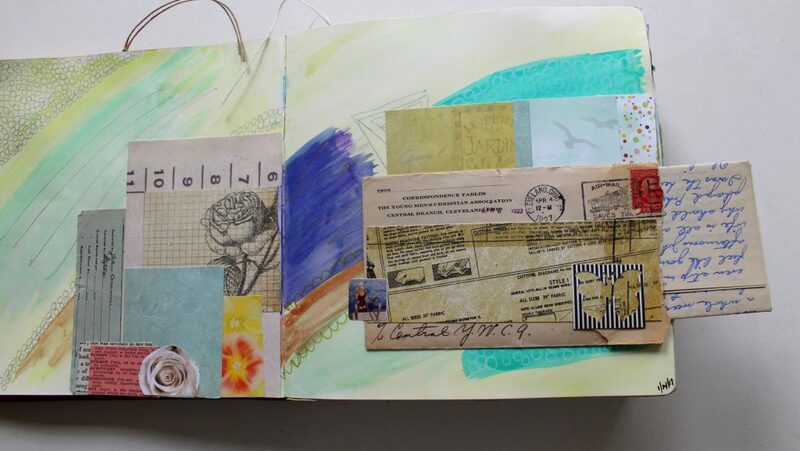 If you share your art journal pages, you may want to hide journaling that is particularly personal or if it mentions something or someone you don’t want to share publically. You may want to hide your journaling from yourself as well. 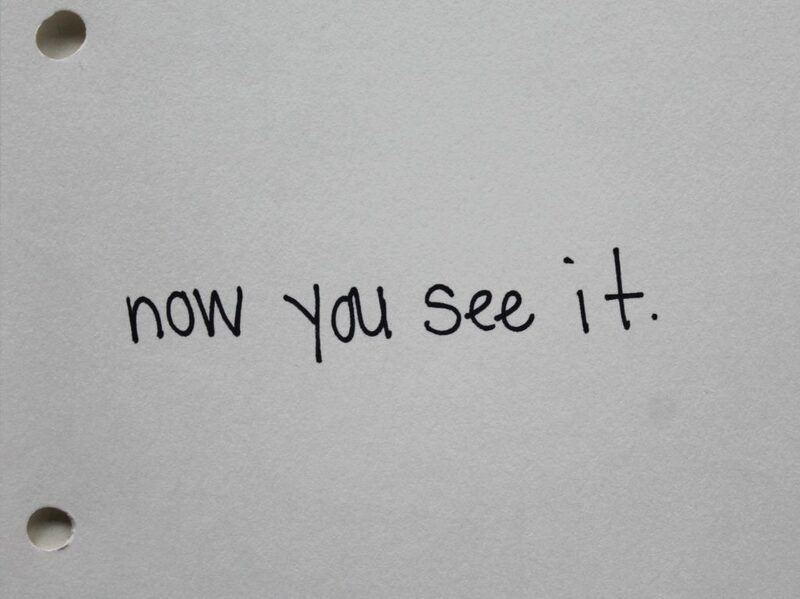 You may want to get something out that is on your mind or heavy on your heart, but you don’t want to see it again. 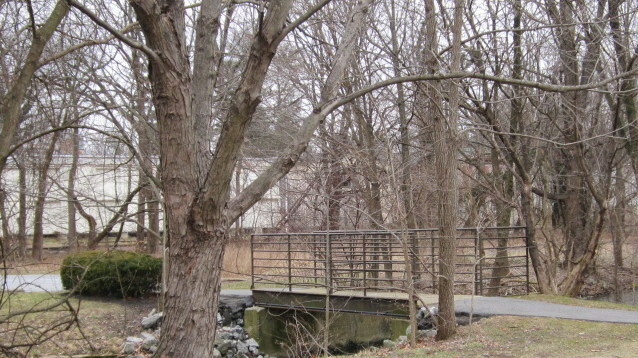 In that case, you may want to use one of these 4 ways to hide your journaling. 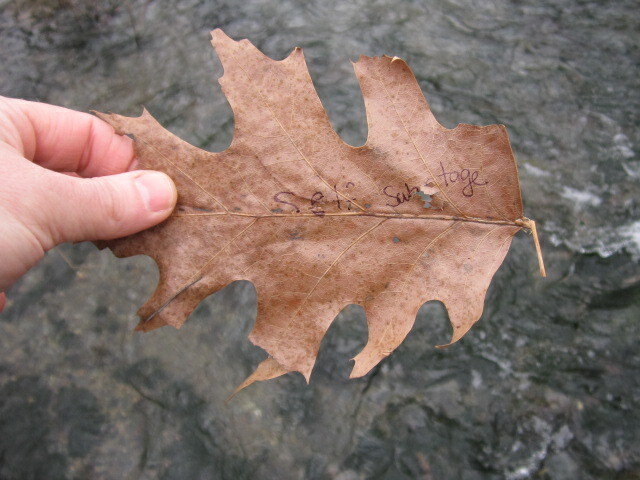 One solution to hide journaling is to slip it into a pocket or envelope. The second solution is to write it out and then collage over it. 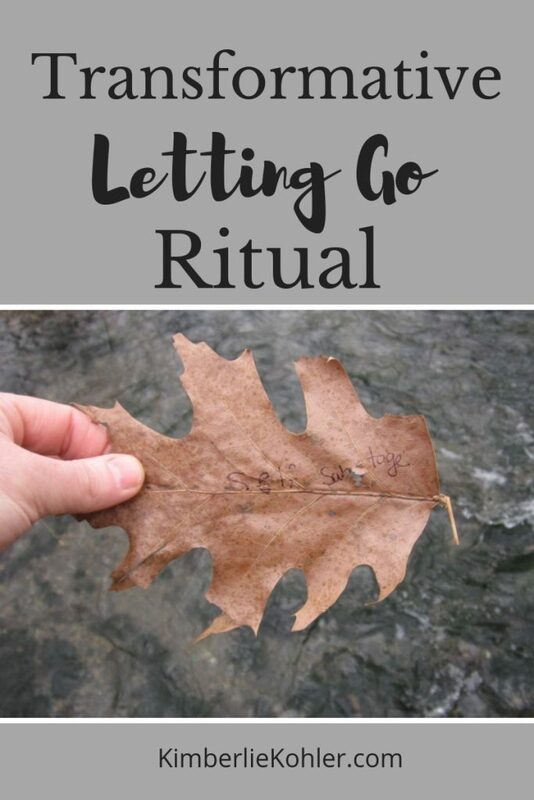 This page is from my free Inspired Mini Course. 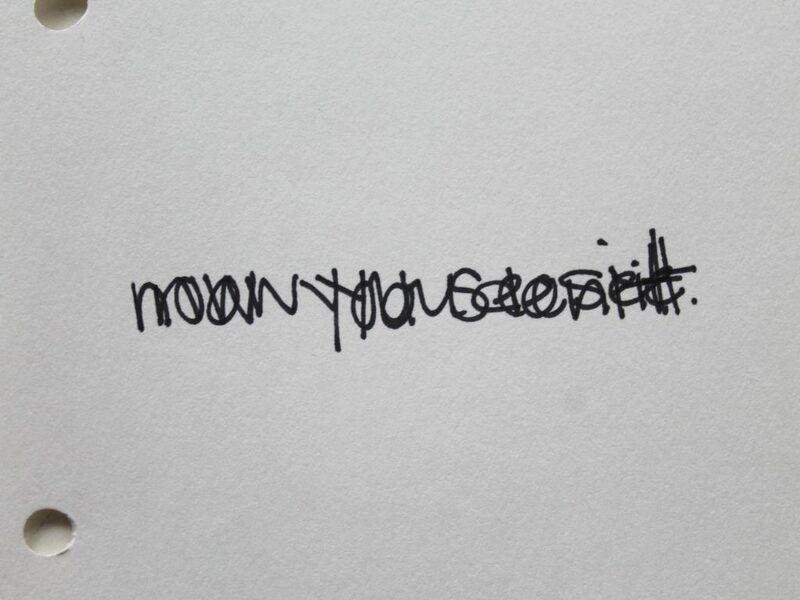 The third idea is to simply write over your writing. 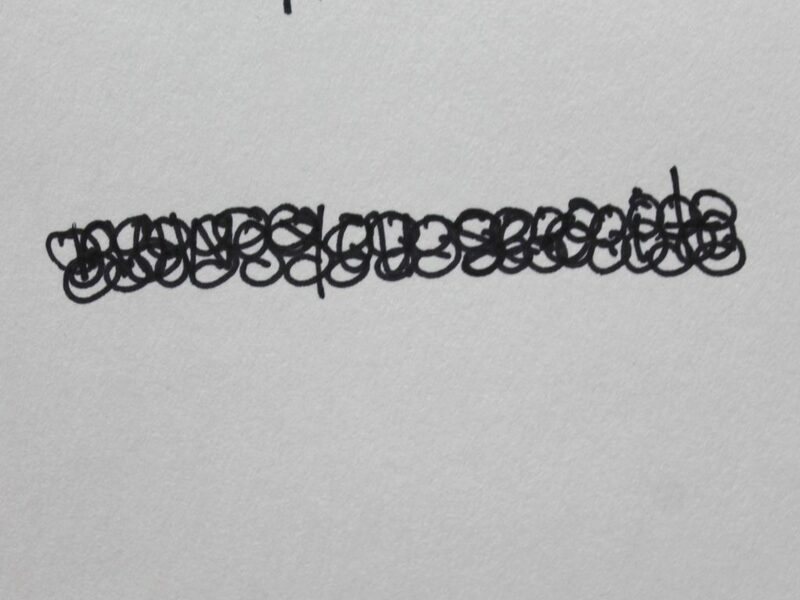 You could fill a page and then start writing over what you just wrote and continue writing. The final idea is to paint over your writing. You can experiment with paints, but I usually use acrylics to cover writing. Watercolor (in my experience) will not cover your writing. 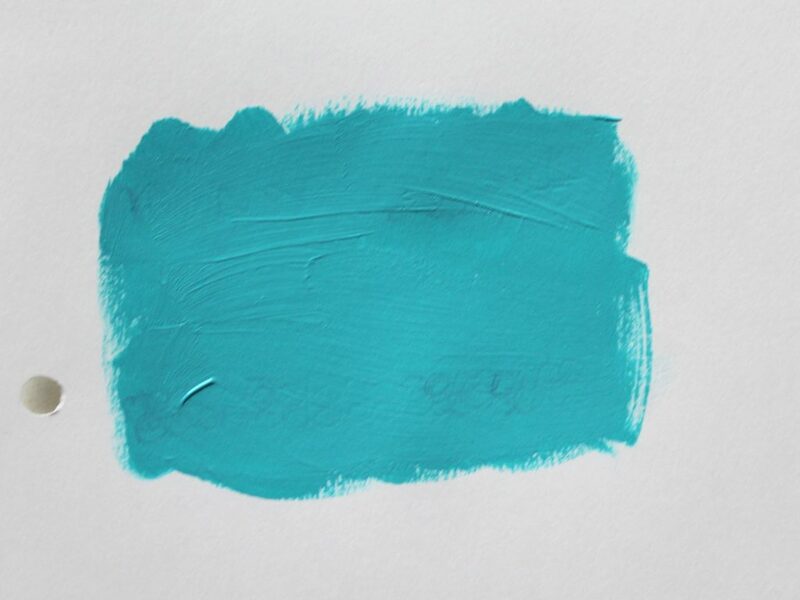 If you use a dark color, you may need to use a thick layer of paint. So those are 4 ways to cover up your journaling that you want to keep hidden. 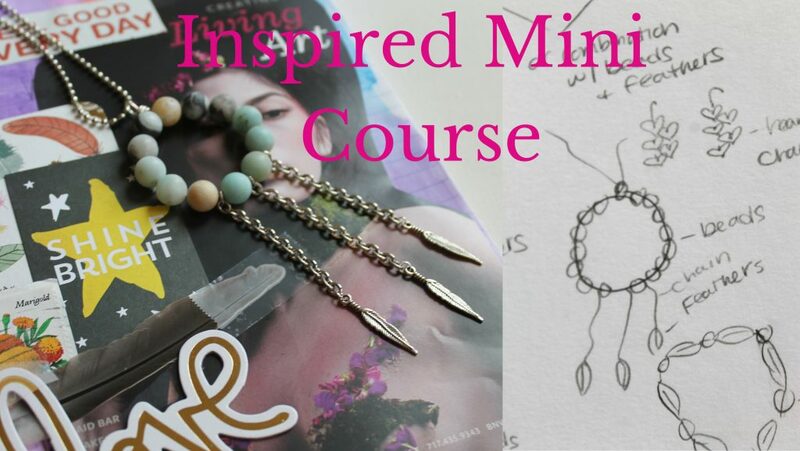 In my free Inspired Mini Course, you’ll get a creativity booster, an art journal prompt (where you can use the tips from this post), learn how to pull out inspiration from your art journal page to design your own jewelry piece. 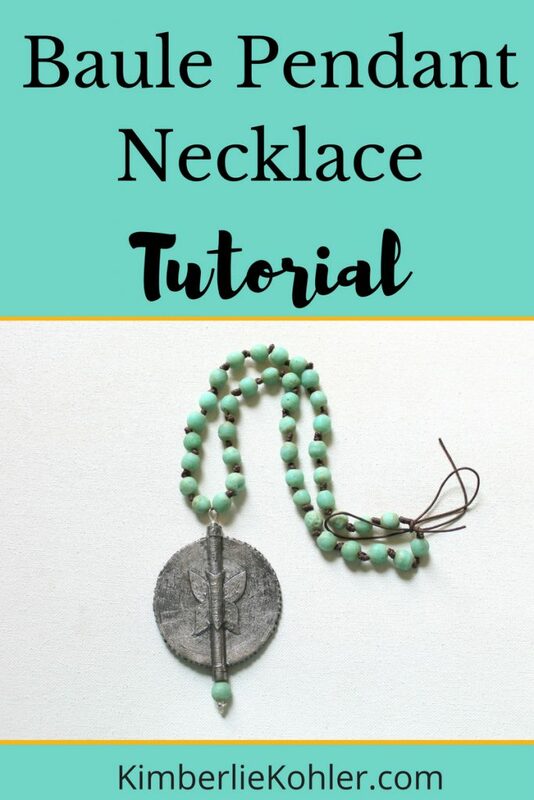 I also share a full jewelry tutorial that you can customize to suit your own personal style. Learn more and sign up here: Inspired Mini Course. 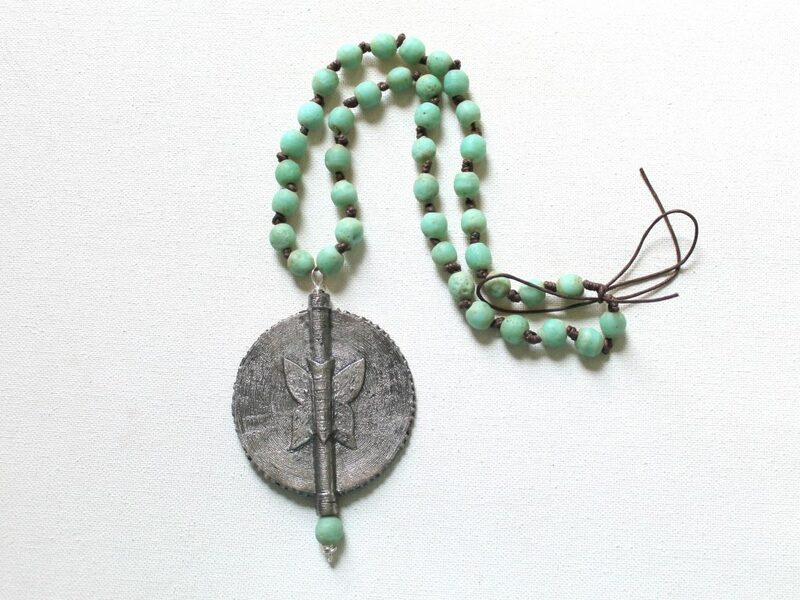 I am fascinated by these beautiful baule bead pendants. 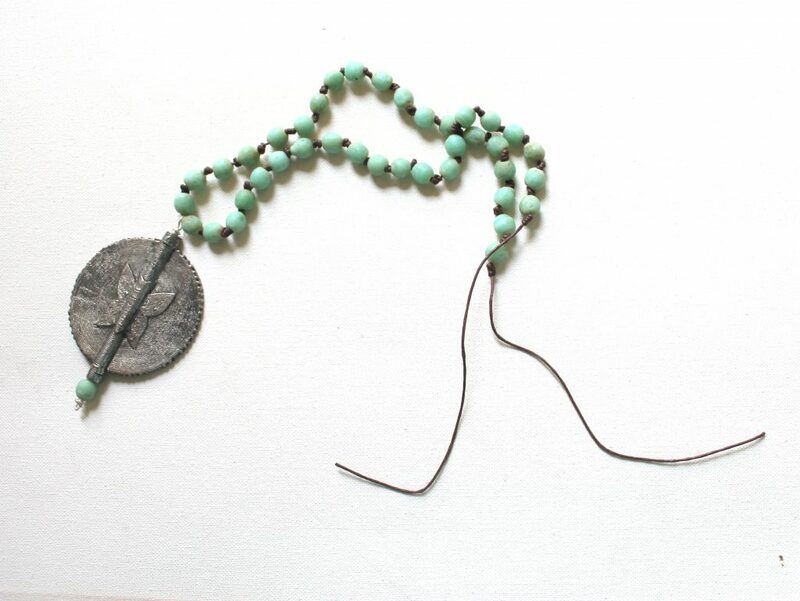 Historically, they were used to measure gold on the Ivory Coast. 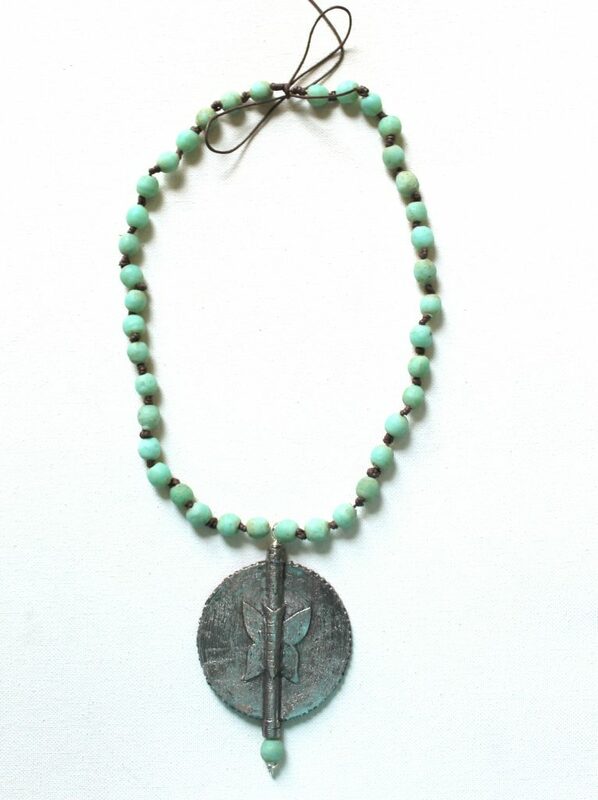 I’ve used it to make a beautiful statement necklace. You can find a variety of these baule bead pendants for sale at The Bead Chest, as well as some smaller ones if you prefer. In fact, I found all the beads for this project on www.thebeadchest.com. 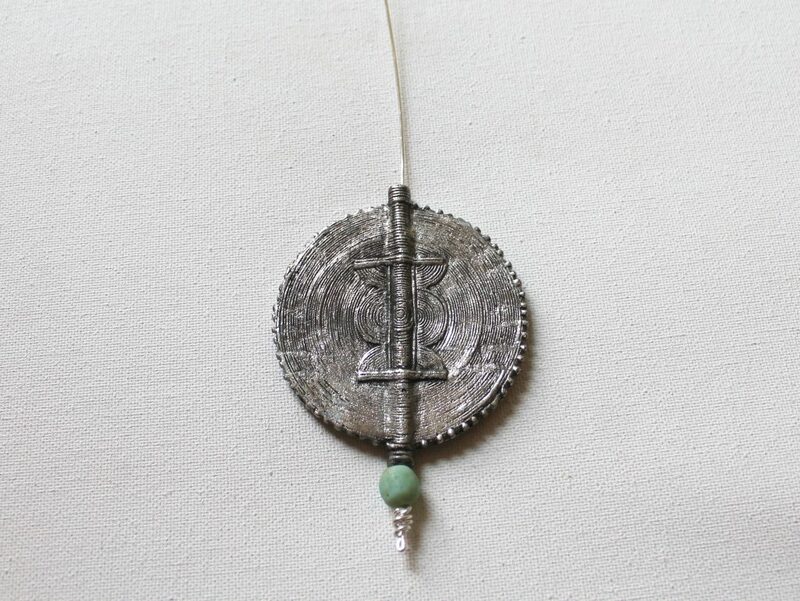 The first thing we’ll do is make the pendant. I’m using the baule bead pendant plus one of the java beads on the bottom. 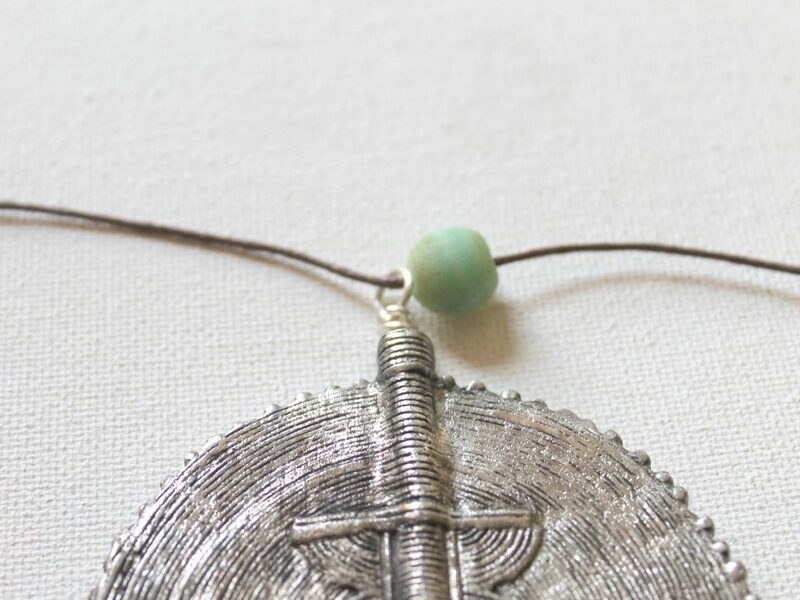 Cut a piece of 18 gauge wire a few inches longer than the pendant and bead on each side. 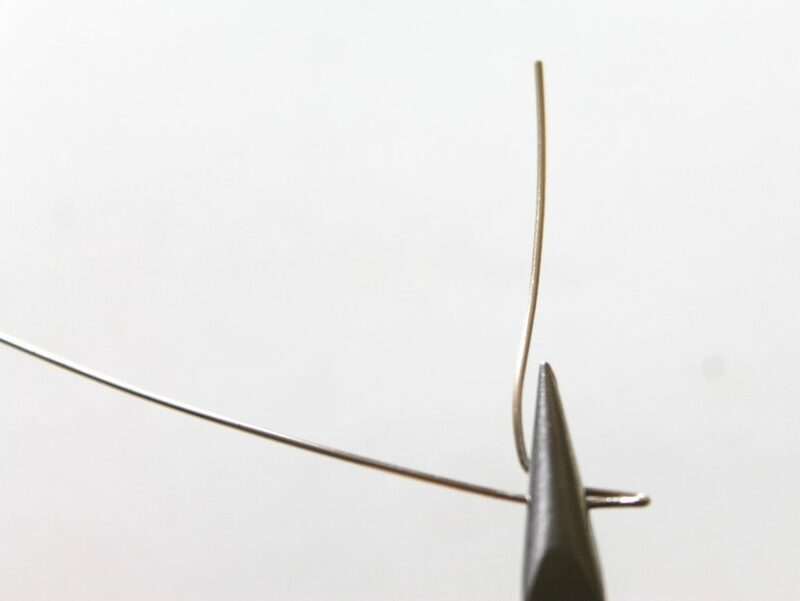 Approximately 1 1/2 inches from one end, bend the wire. 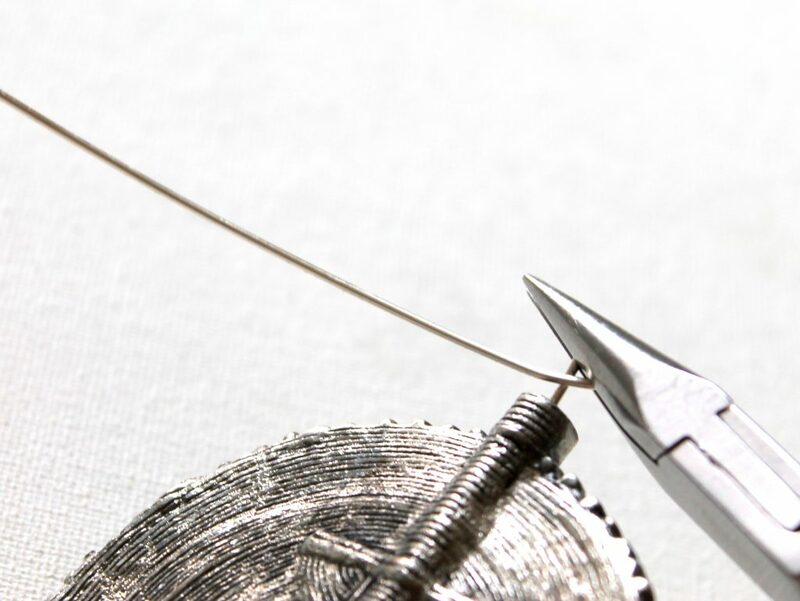 Leave a bit at the end and bend the shorter wire up. 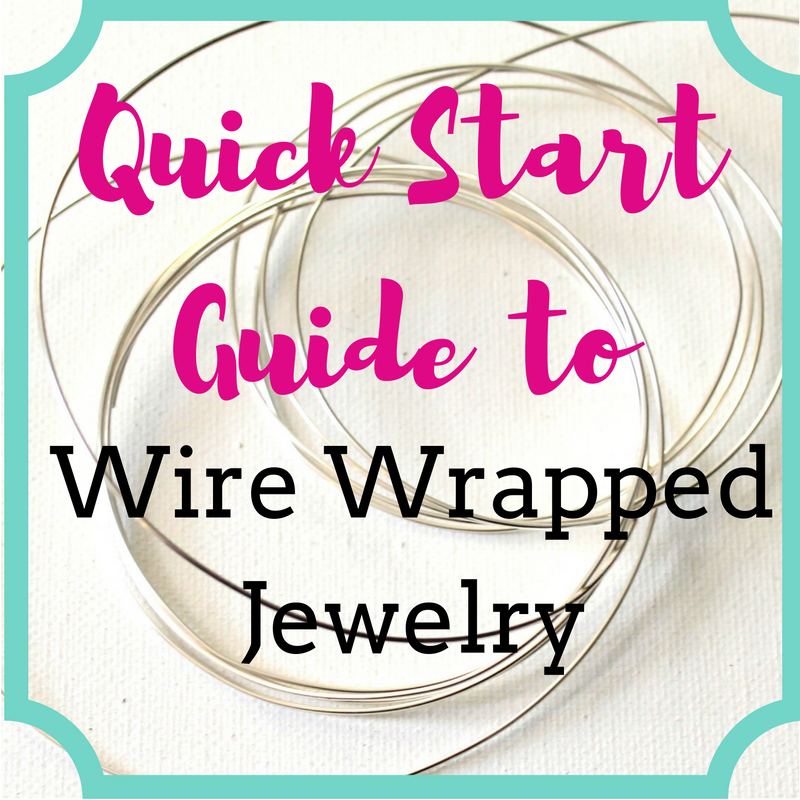 Then wrap the wire around the end creating a “knot.” You’re not actually making a knot. Just wrap the wire around to give it the look of a knot. I like to make the wraps messy, but you could make them neat if you prefer. Pull the wire through the beads. 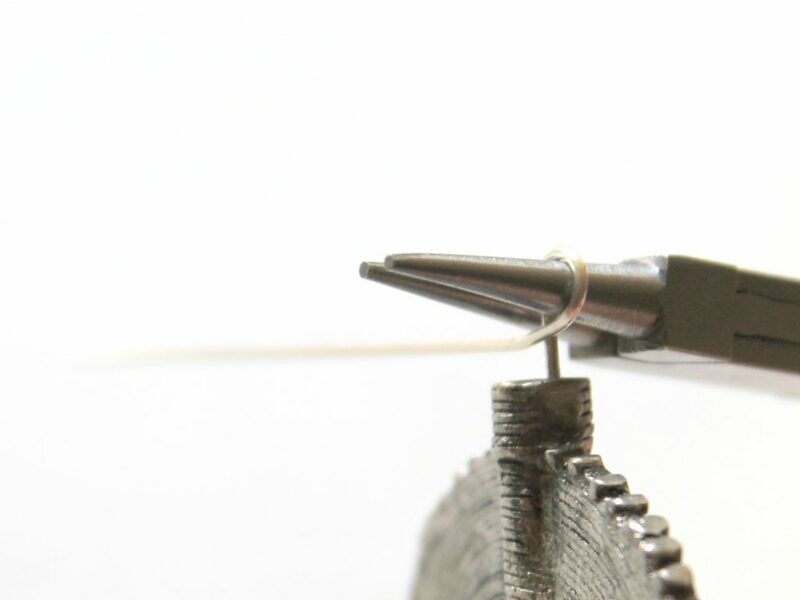 Hold the wire about 1/4 inch above the baule bead in round nose pliers. 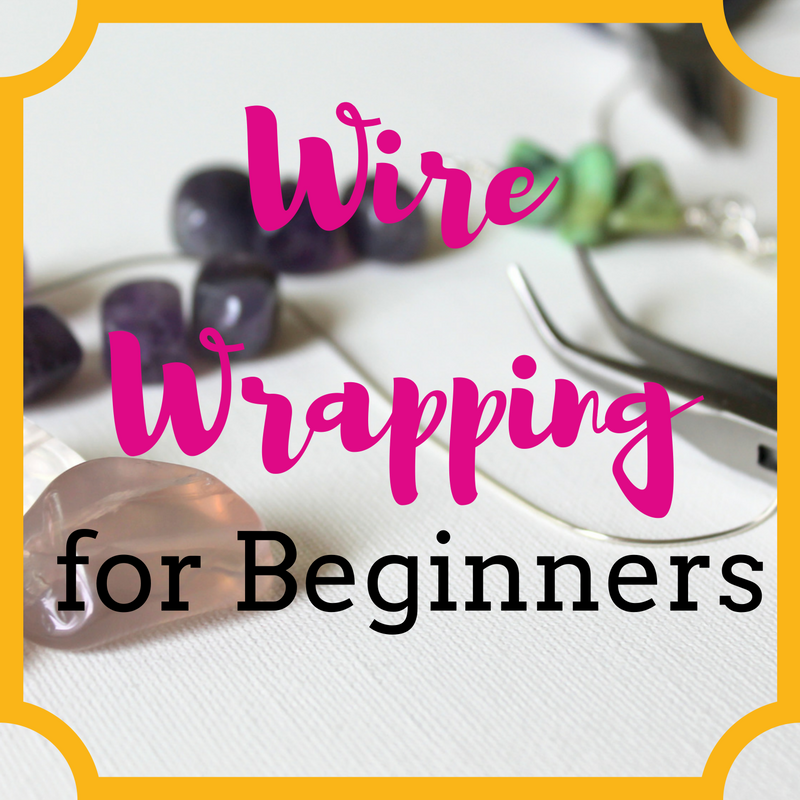 Wrap the wire around to form a loop. 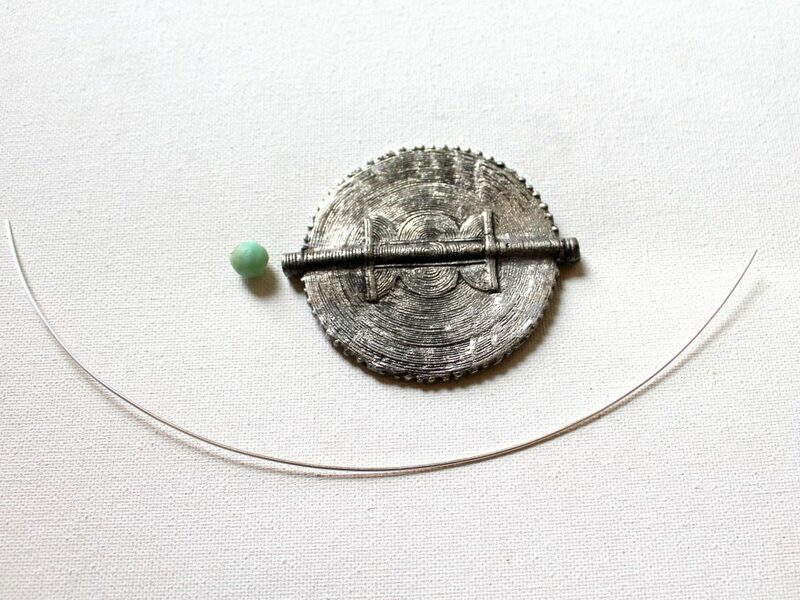 Note: I found it easier to rest the bead on my worktable because of the weight of the bead. Hold the loop you just made in chain nose pliers. 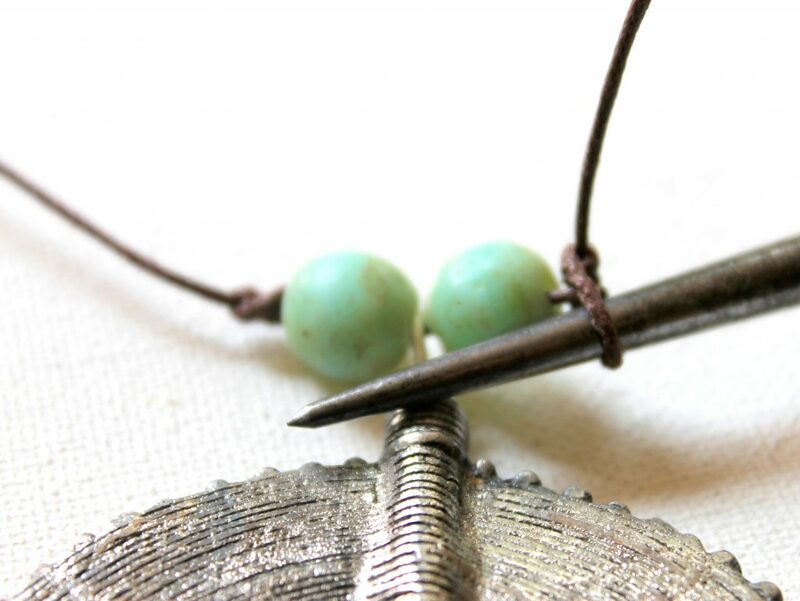 Wrap around once while straightening out the bead so the loop is centered above the bead. Then wrap around 2 more times. 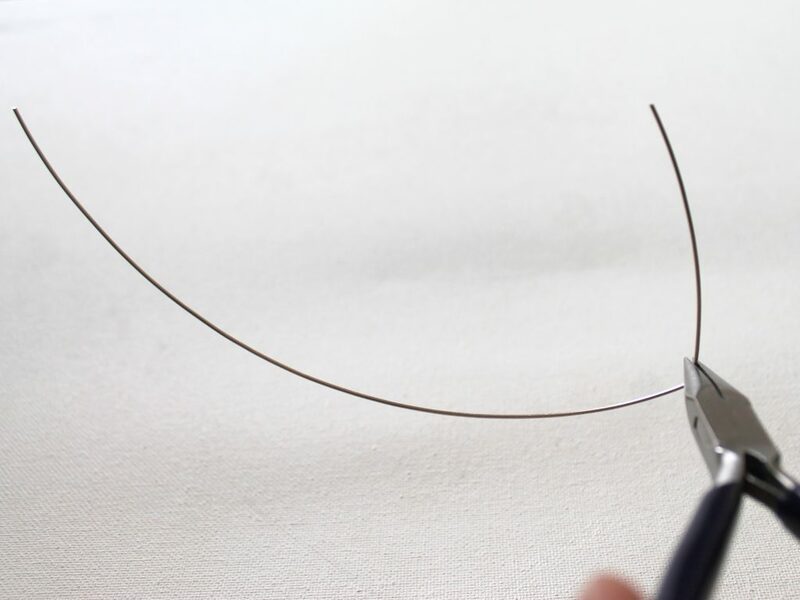 Trim off the excess wire making a flush cut and make sure the end is not poking out. 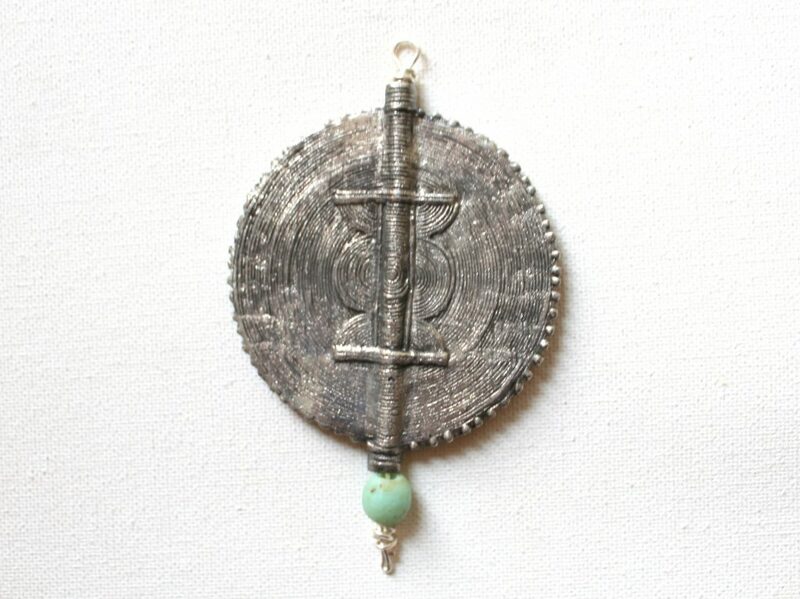 Now you have a pendant to use in your necklace. 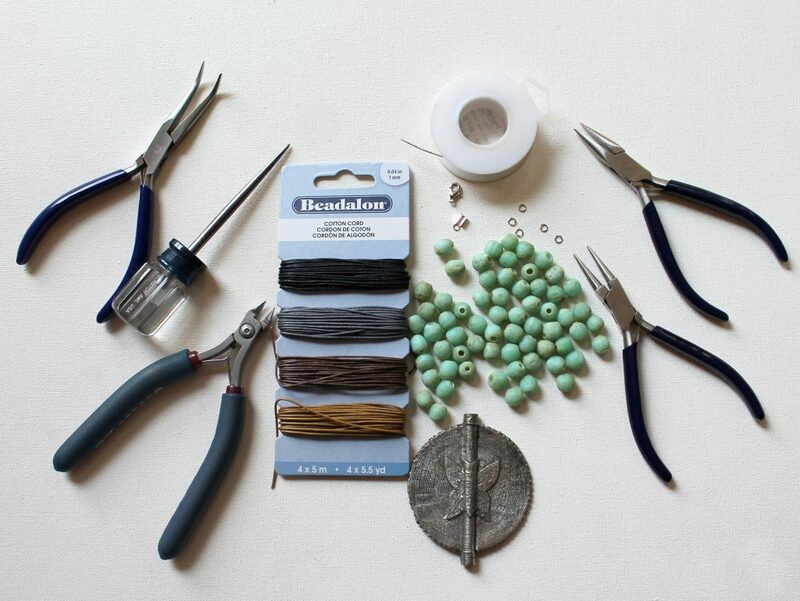 Cut about 4 times the amount of cord that you want your finished necklace to be. For example, if you would like a 20 inch necklace, cut about 80 inches. I cut some extra as well. I used the brown cord. 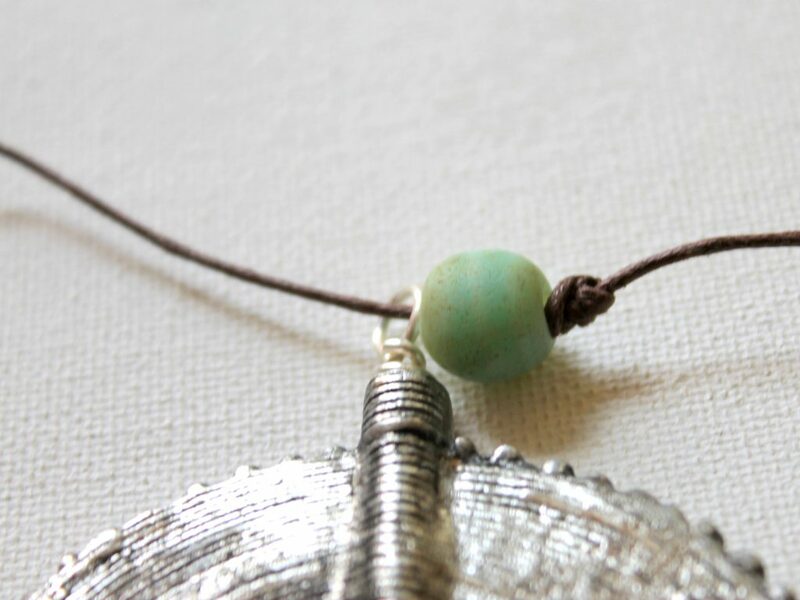 Place the pendant on the cord and find the middle of the cord. We’ll work from the middle out. 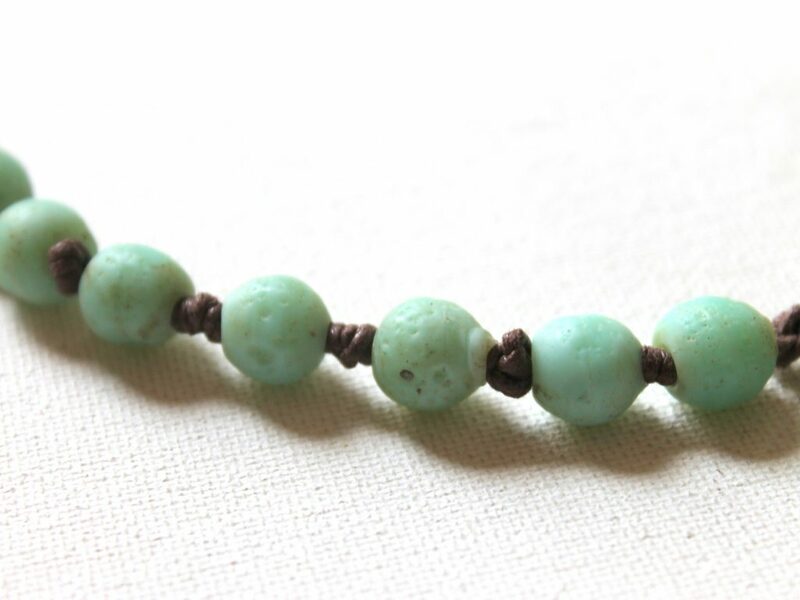 Slide a bead onto the cord. Make an overhand knot, but don’t pull it tightly yet. In this case, I decided to use triple knots in between the beads. To do so, pull the cord back through 2 more times before pulling it tightly. 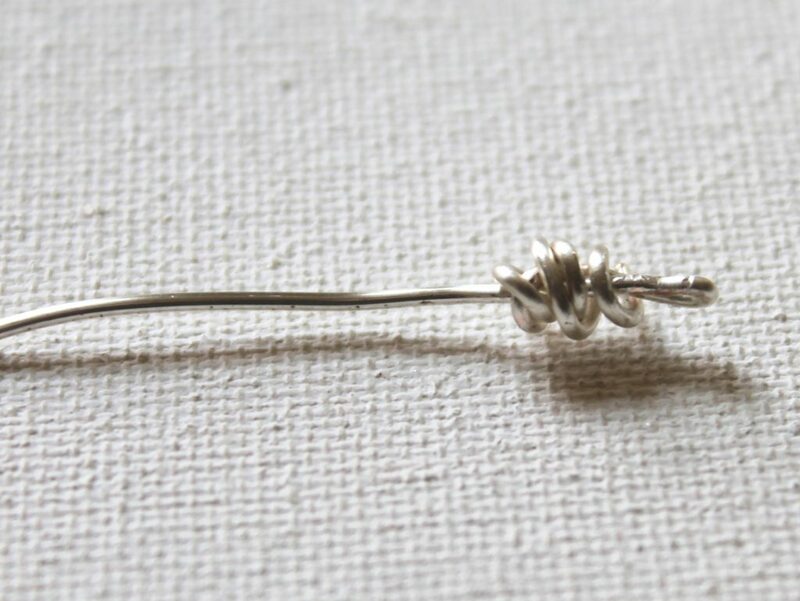 Put the awl in the middle of the knot and pull the knot. Then use the awl to pull the knot flush with the bead. 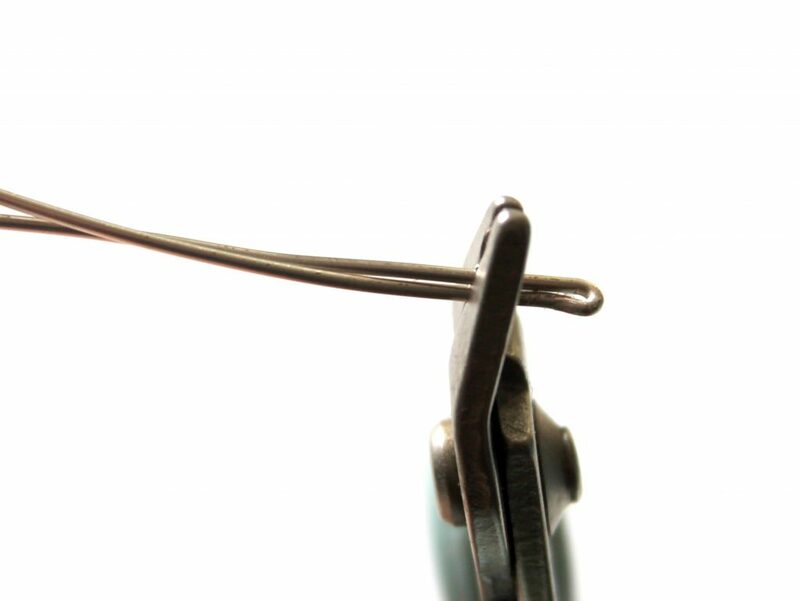 Pull the knot tightly as you’re removing the awl while also using your fingernail to pull the knot tightly. 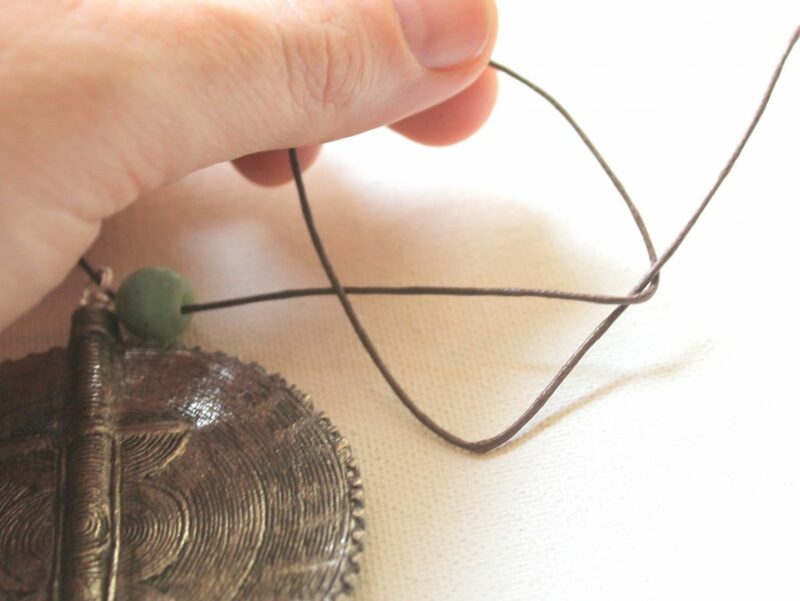 For the first knot it’s a little easier because you can just adjust the bead and pendant to the knot, but after that you’ll have to be sure to get the knot tightly against the bead. 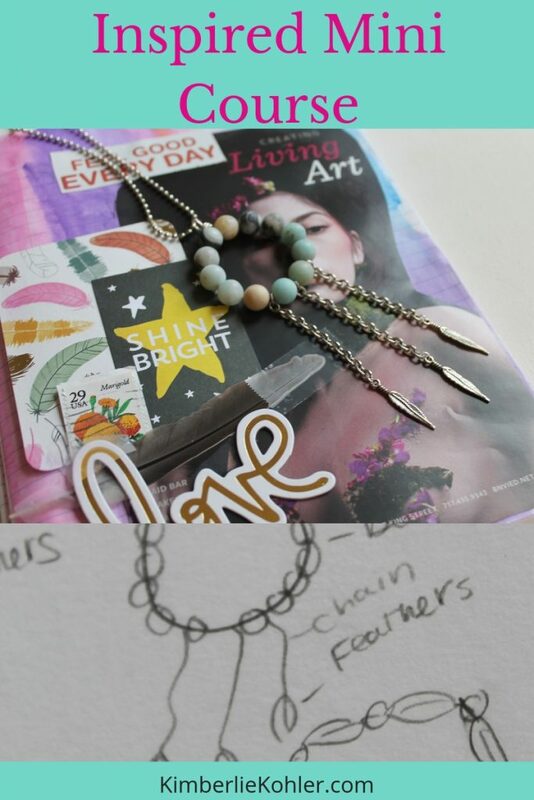 Continue adding beads and knots working from the middle out until your necklace is the desired length. 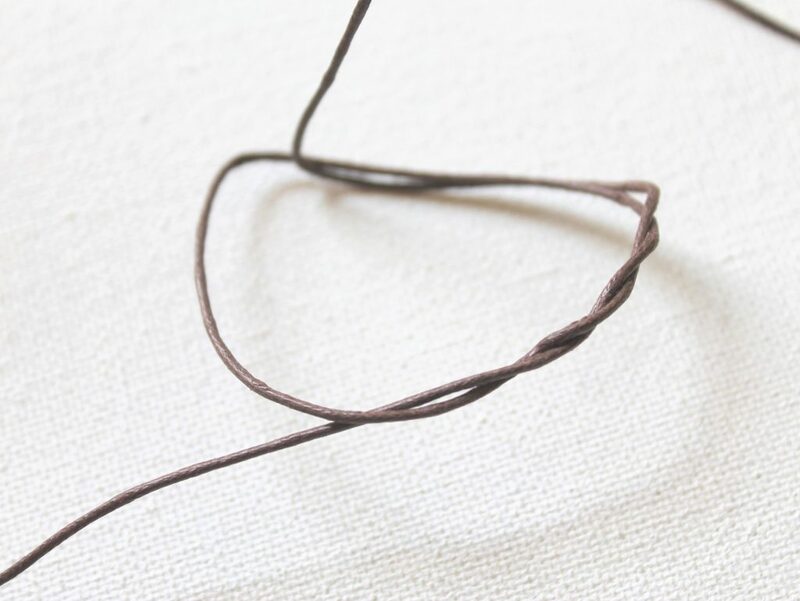 Trim the ends of the cord so they’re even, leaving enough room to make a bow and tie the necklace. 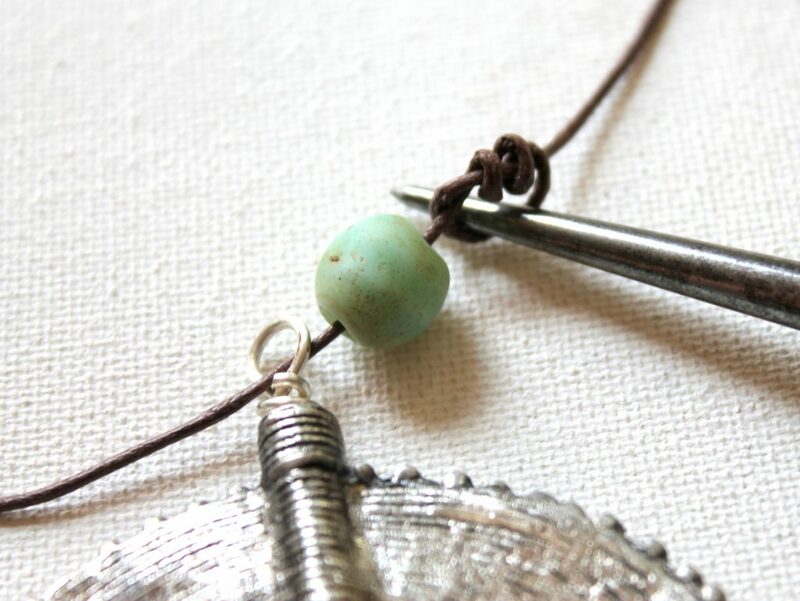 I prefer this necklace simply tied, but if you prefer you can use fold over crimp ends and a clasp to end your necklace. This post was sponsored by The Bead Chest.